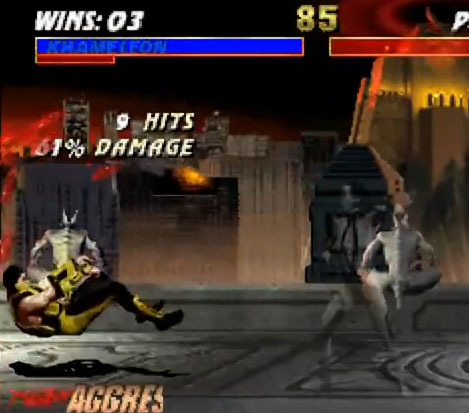 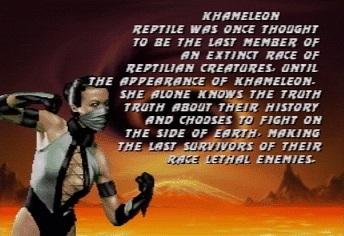 Khameleon debuted in the Nintendo 64 version of Mortal Kombat Trilogy as a secret and unlockable character with the moves and weapons of all the female Ninja characters. 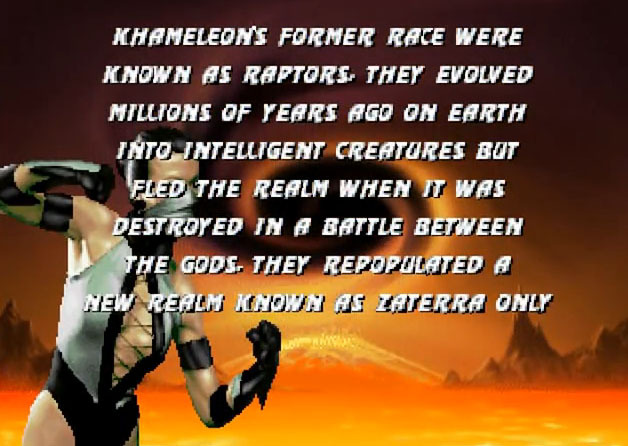 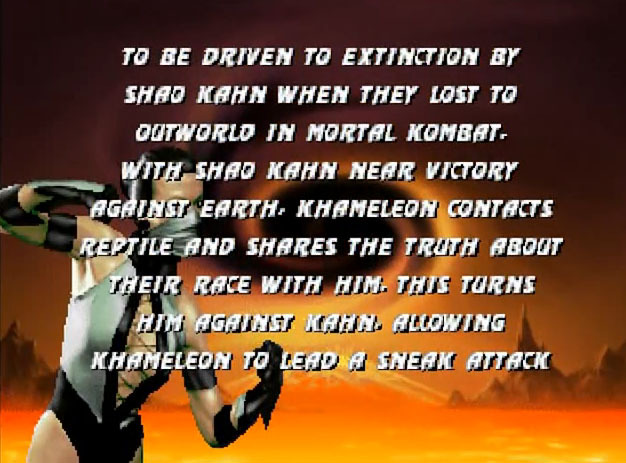 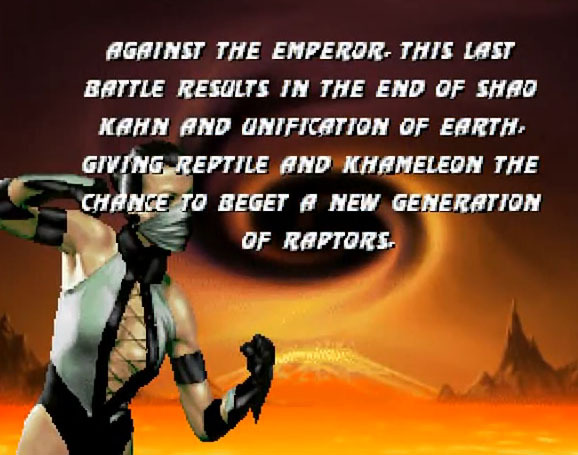 Unlike Chameleon, she even got a Bio and Ending but did not return until the Nintendo Wii Version of Mortal Kombat Armageddon whch makes her the only Mortal Kombat character only seen on Nintendo consoles so far. 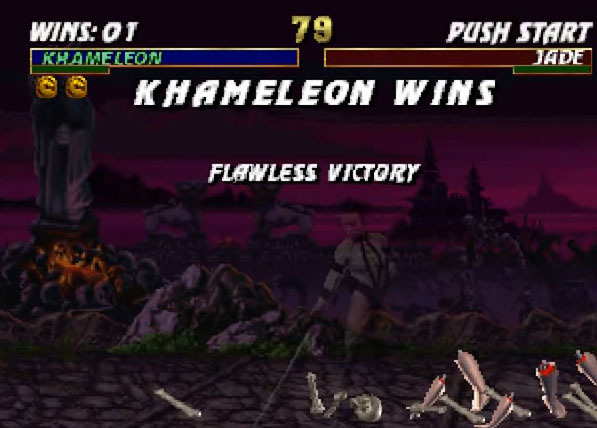 Visit also Khameleon’s Game Art HQ Main Profile with more infos, official art as well as featured fan art and more.